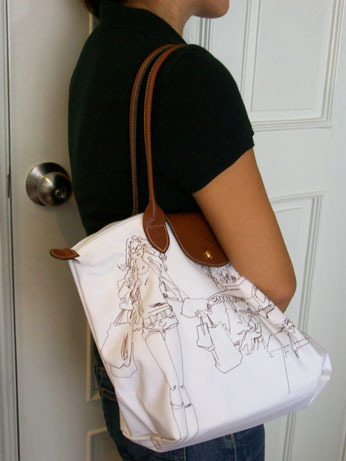 I actually started out with this bag yesterday when I thought I wasn’t going to be leaving the office. 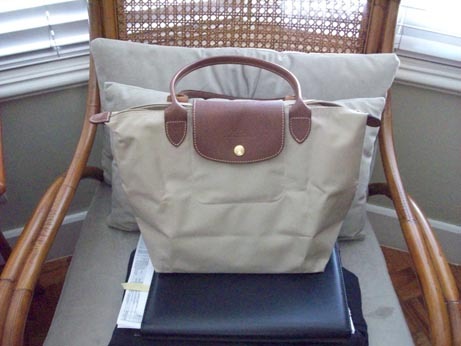 This is my first Longchamp. Hub got this for me on one of his short trips… I know I chose the color, (he texted me the choices when he was at the KL airport) but looking back, I don’t know why I chose this and so close to my backpack color … I guess I was trying to be neutral. Now, I just feel that this is like the plainest of plain… I started off using it to the gym this morning… I’ve decided that I’m converting it to my training bag – I’ll use it to house my running gear so all I have to do is grab and go. Shopping Girl. 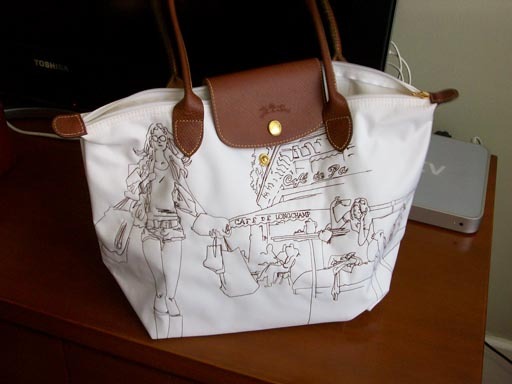 Longchamp Le Pliage Limited Ed. with illustrations of Robert Wagt. Another thing I didn’t anticipate is that I would have 2 dinners to go to this week–Now, I get to count my clutches in my cycle!!! So, that leaves the bag count today to 10 down and 4 to go!